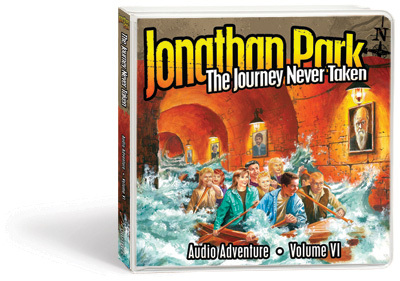 Featuring twelve brand-new dramatic episodes from Vision Forum’s bestselling Jonathan Park radio drama series, The Explorer’s Society is packed with exciting worldwide creation adventures for the entire family to enjoy. On the heels of their worldwide hunt for the stolen Beowulf manuscript, Jonathan Park and the Creation Response Team have been challenged to a “Battle of the Worldviews” on national TV. Their competition is the Explorer’s Society, a group of evolutionary scientists who, since 1850, have been famous for their cutting-edge scientific discoveries. 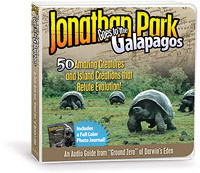 Learn to defend your faith while joining these two teams in their fight for survival at Niagara Falls, in the Canadian wilderness, in the freezing Arctic on Ellesmere Island, in a German dinosaur graveyard, and on Mount Saint Helens — in Jonathan Park and the Explorer’s Society!